Our product range includes a wide range of heavy duty hinges 4mm, piano hinges and aluminum hinges. We are instrumental in manufacturing and supplying Heavy Duty Hinges for our revered patrons. 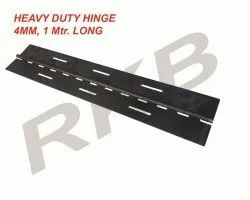 The offered Heavy Duty Long Hinges are widely used in the electrical industry for fabrication of electrical parts. The offered Heavy Duty Long Hinges are made from high grade material and enable hassle-free operation for the instruments. 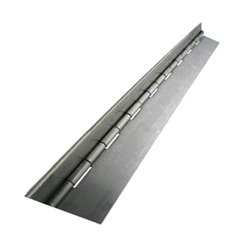 We are among the pioneers in the industry for manufacturing and supplying Long Metal Hinges. 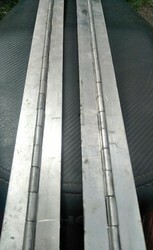 The offered hinges are used for the installation of doors in factories and heavy equipment. These hinges are made by employing innovative tools and techniques with the compliance of industry standards. We are specialized in handling bulk orders and are prompt with deliveries as well. Looking for Long Hinges ?